Capt. 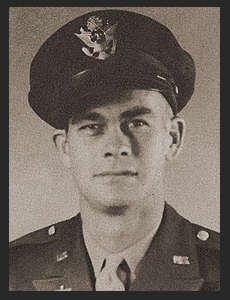 Herbert C. Birkhead, son of Mr. and Mrs. W. Roy Birkhead, graduated from Victory No II School, attended Cameron College, CSTC, Edmond; husband of the former Gene McChesney. Entered the Air Corps in 1942, trained in Perrin Field, Blackland Field, Foster Field, Texas, Matagorda, Is.